Need a solution to practically anything? Your go-to guy is Brian Painter. A 13-year Tindall veteran, Brian is always on the hunt for new ways to simplify and improve processes. He constantly investigates new technologies to discover ways they may be implemented to provide solutions that streamline manufacturing — saving time, reducing cost, and improving safety. Brian’s new program, Rebar Auto Designator (RAD), will be rolled out to all five Tindall locations soon. This program eliminates production planning to enter bars into IFS. As soon as Engineering releases a bar bend, it will automatically be uploaded to IFS. In addition, to help identify bar bends, the tags generated for the steel shop will now include a sketch of the bar bend. RAD will eliminate steps in the system and provides visual verification for the steel shop, reducing time, work, and errors. 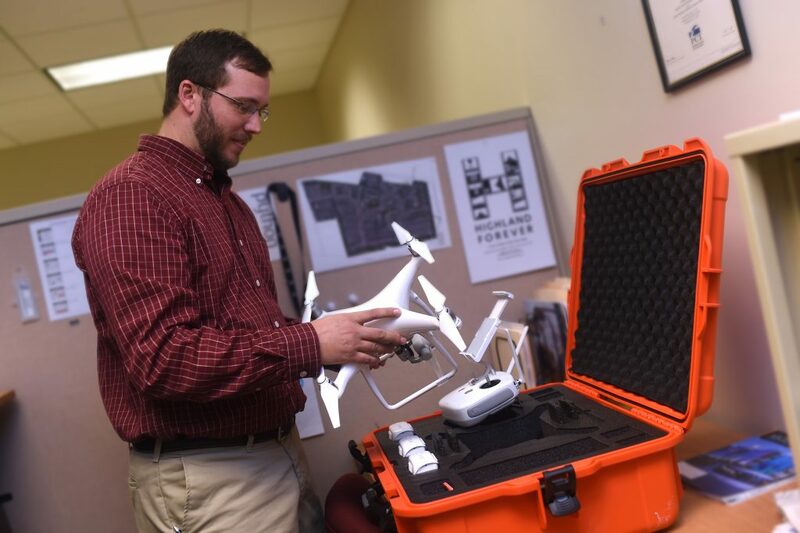 Brian brings his solutions-minded aptitude to every aspect of his work, including using his own drone to capture footage of Tindall projects in process. And, as part of his busy work day, Brian also finds time to teach young, aspiring computer programmers at a local high school. Tindall applauds this very valuable member of our team.